“I will be competing in all the Nora MX championship events apart from one which clashes with a European Championships round. My main focus this year will be the ACU British Quadcross championship and the European Quadcross Championship which starts this weekend at the popular Dutch track called OSS which I am really looking forward too. My aim for the season is to be able to finish in the top 5 of the British’s championship and the top 10 in the European. I will also be competing at the famous Weston Beach Race which is one of my favourite events of the year and my goal is to win it. I also compete in a big race in France called Pont de Vaux, where you pair up with 2 other riders, I will be going for a top 8 finish in this. Towards the end of the year, and into next year I will be doing the full French Sand championship, its going to be a very busy year, but I am really looking forwarding to it and keeping you all updated on my results”. FEATURE RACER UPDATE: Walker takes unique Quad sand racing treble! Feature Racer Harry Walker shines for Team GB at Quadcross of Nations! 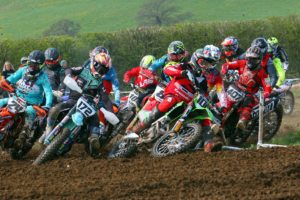 Feature Racer Harry Walker takes first ever British Quadcross Championships win! Feature Quadcross Racer Report. Walker secures third in Euro Quadcross Champs with gritty final ride! Our Feature Quadcross Racer Harry Walker in form in Poland with another Euro Champs Podium!